From the Facebook page of TF Upgrader, we have a couple new images of an upcoming project by third party newcomer 80’s Dream. 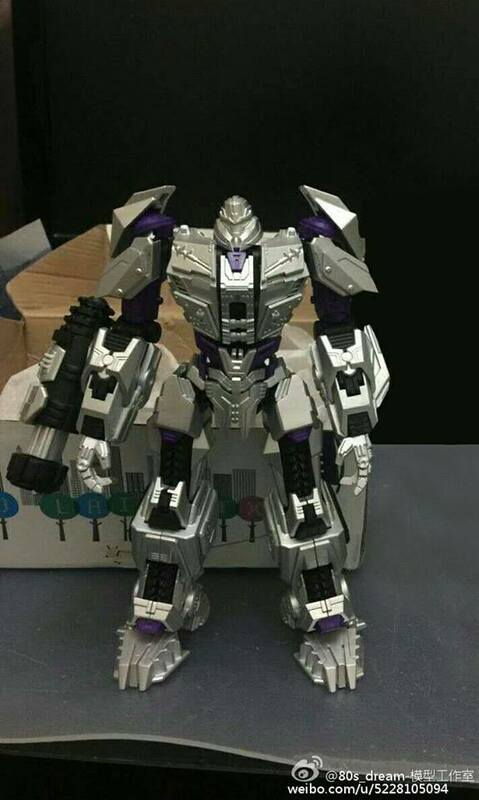 Their first figure will be a non-transforming, voyager-sized take on Transformers Universe Megatron and will feature diecast parts! The figure is also a model kit with parts that seem to peg onto a skeleton as we saw a while back with the resin prototypes, hence his lack of transformation. Although the Transformers Universe game was cancelled some time ago, it had an incredible number of character concepts and designs that blended G1, Prime, and a little bit of movie aesthetics. Hopefully we’ll see some of those characters come to life from this new company down the road. No price nor release date have been set at this time, but be sure to check out the images after the jump and join the discussion via the link below! To be fair when you base a product off a IP called Transformers the only way you could mess that up is not make them Transform. That being said I can see why this developer group didn't attempt transforming it as it would've been difficult to remain accurate to both modes given it's aesthetics without any sort of compromise (Ex: TFP Knockout and Airachnid). Plus given that this is their first product (as far as I'm aware of) it makes sense not to blow one's budget all on the first test product. Regardless, I still think it's looks fine. A little less paint detailing than I expected but nothing that ruins the figure. Again I'm just happy to see TFU get a little love in plastic even if posable statues is all we get. I can see this and future models as filler material until Hasbro catches up to making actual toys of the game cast that do transform. TBH I'm pretty sure most peoples collections are made up of poseable statues anyway, or they may as well given how everything will most likely end up in a fixed pose on a shelf with their alt mode(s) never seeing the light of day for decades. Are people really still on about this thing not transforming? 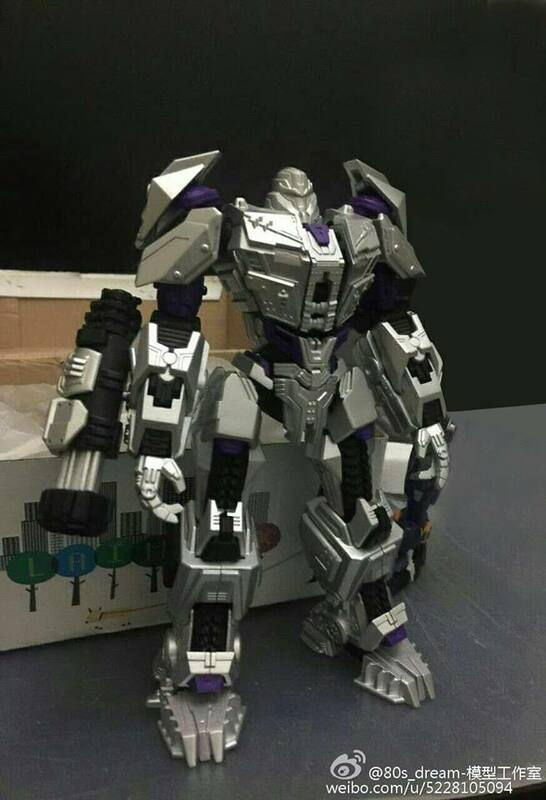 this will be my megatron until they make a better voyager megatron.must have^___~"
That's what I'm talking about… looks great. I'd kill for more high-quality, game/show/comic-accurate figures. Especially kits. At the end of the day, I really just want some nice looking figures of my favorites on my shelves. I don't care if they transform. Plenty of others for that. If they do more of the TFU characters, I'll be interested. Don't care if they're all action masters. Some of the alt modes were kinda bleh to me anyways.